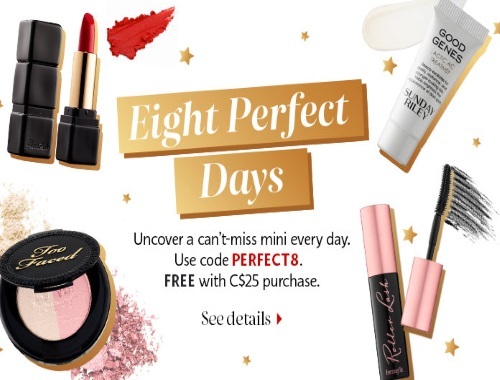 Sephora has an Eight Perfect Days promotion now including Deluxe Free Samples! Uncover a new mini everyday! While supplies last; sample substitutions may occur. Not valid on previous purchases. Offer not valid in retail stores. While stock lasts, you can choose from any of the days that have passed so far to add to your cart. October 9 - Sunday Riley Good Genes All In One Lactic Acid Treatment plus 2x points on skincare orders.